Well........tomorrow is THE day. I'd better be ready to go by the end of the day or....... Well, we won't even think about THAT! I'll just make sure I am ready to roll tomorrow. I had all day yesterday off from work to tie up a bunch of loose ends. I packed up tubs, cue sheets, made forms, roster sheets, and got some little details taken care of. I was running around most of the day doing stuff. And I still do not have the schwag items for the riders. I am hoping to take delivery of that stuff today. Then Friday morning I load up and head out down to Grinnell to put on another Trans Iowa. I posted this image Wednesday on Twitter of the bottle opener that riders are going to get. Man! The reaction was crazy. So, just to head off any reactions or questions here, I want to let everyone know that there is a very limited number of extras of the bottle openers. Those are going to sponsors and very special "friends" to the event. So, they are pretty much all spoken for. And if this whole deal drives me to drink, I'm covered there as well. 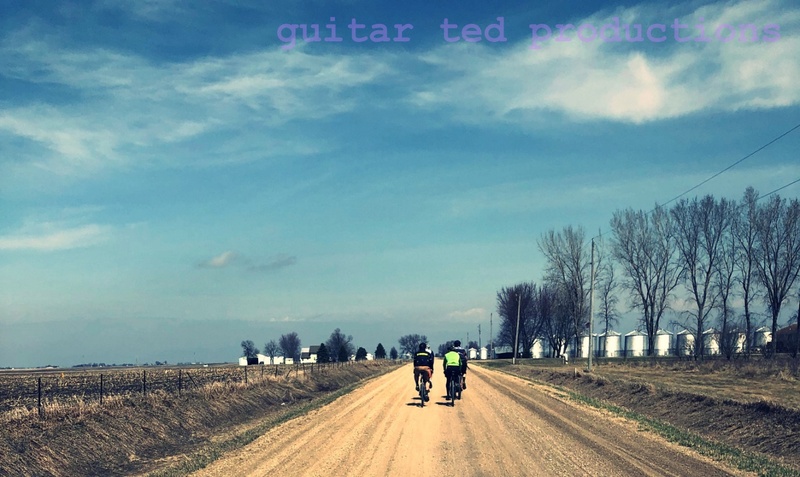 Anyway, thanks to my RidingGravel.com partner, Ben Welnak for the goods and to Lederman Bail Bonds for the funding to get this done. Without them, none of this happens. I feel pretty good about how things are coming together for this one. The weather looks like it will even be decent as well. That said, weather will likely play some factor in all of this before it is all said and done. Exactly what that is will be revealed later. But in the grand scheme of things, it seems unlikely that we will see any rain, or catastrophic conditions, ala T.I.v11 or 13. Work at the shop today should be rather crazy. I'm sure we are way behind schedule since the weather broke. But I cannot do anything about that after 4:00pm today because I'm clocking out and then it will be Trans Iowa 24-7 until Sunday afternoon sometime whenever I manage to drag my sorry carcass home. Hopefully between now and then things go smoothly. So, you can expect a scheduled ""Friday News And Views" post tomorrow, a "Minus Ten Review" on Saturday, and another edition of "The Touring Series" on Sunday here. If you were wondering about Trans Iowa's progress over the weekend tune in to "Trans Iowa Radio" where I and a lot of riders will be posting brief messages about how the event is going. Now......I better go over that checklist again and get back to work! Good Luck! I hope you have a great weekend!! Best of luck to you and all the riders this weekend! Huge kudos to you and all the people that make this event happen every year. Though it is a bit more than I care to tackle, I still consider it the number one gravel event. It has remained true to the spirit of cycling, avoiding commercial influence, and providing a platform for the committed to truly test their limits. The fact that you do this for free is simply amazing. 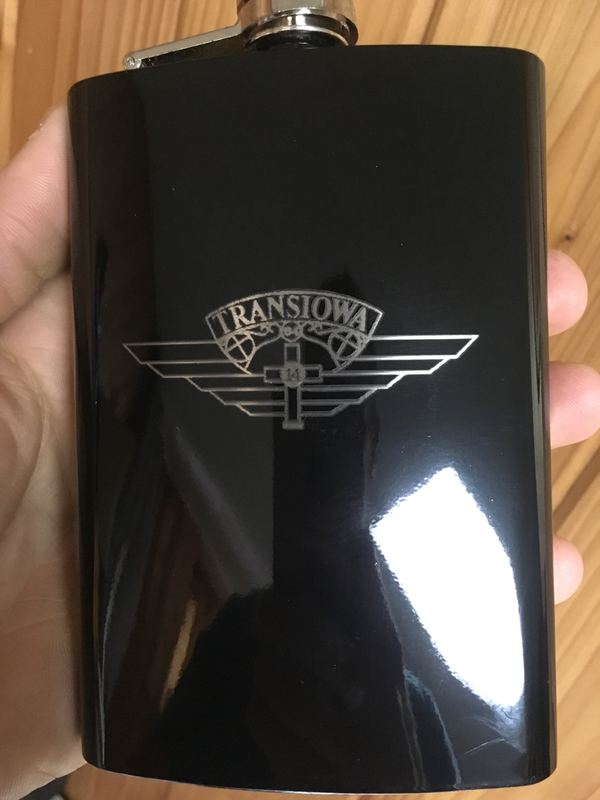 Sign me up for that flask!! :) A bottle opener would be cool! !